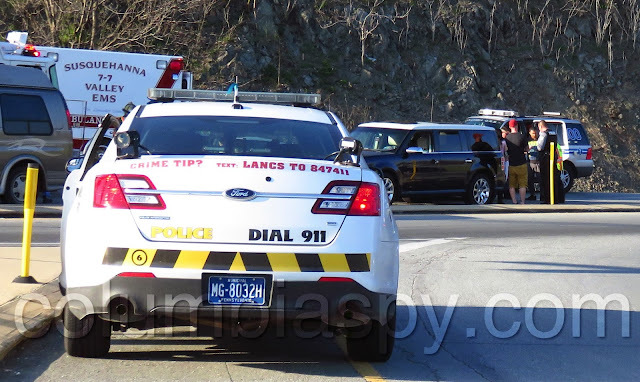 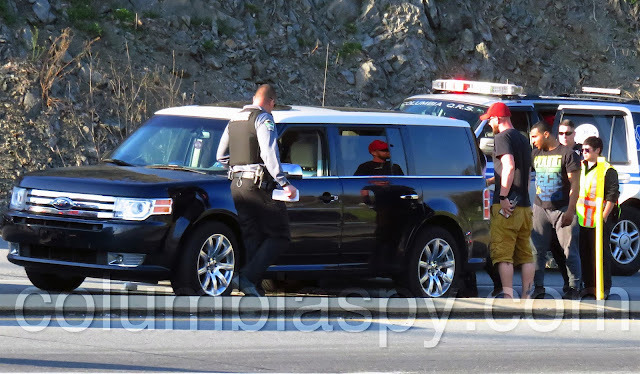 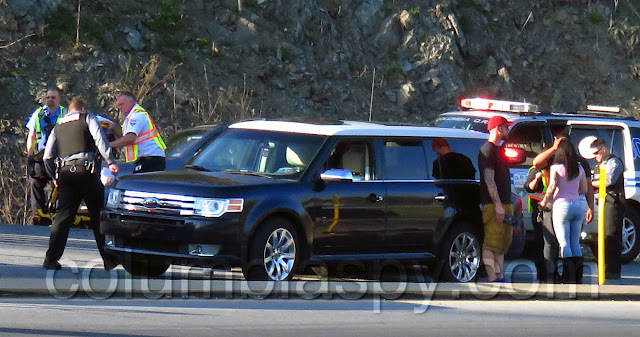 Emergency and law enforcement personnel responded to a two-vehicle accident at the Route 30 West off-ramp at Route 441 on Friday afternoon, April 15. No injuries were reported, but one driver had a suspended license and was found to be in possession of marijuana and drug paraphernalia. 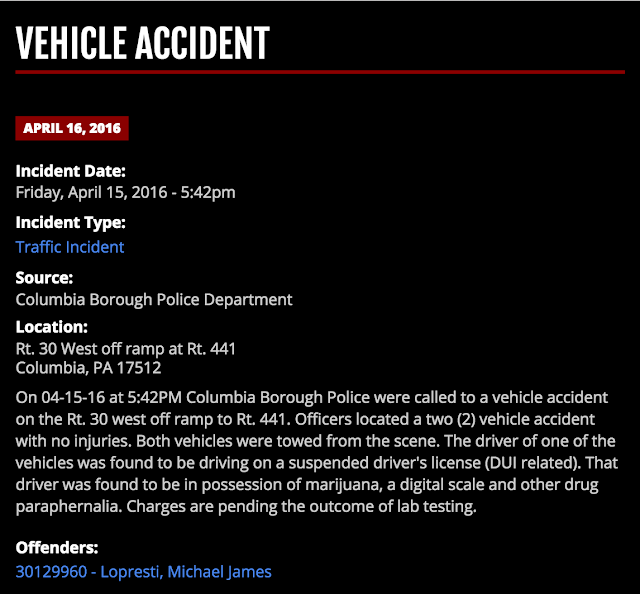 Charges are pending the outcome of lab testing. Columbia Borough Police posted the information shown below at THIS LINK.